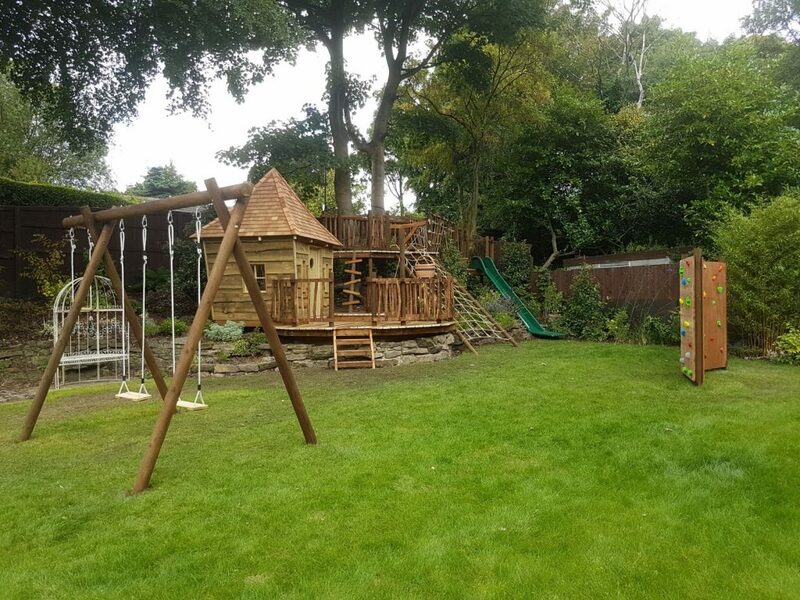 Busy Professional family recently moved and having garden landscaped. 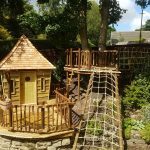 The Family had 2 young children and wanted small rustic and magical Treehouse to capture the imaginations of their children and get them out into the garden – whilst also be challenging enough for them to grow into and have years of fun. 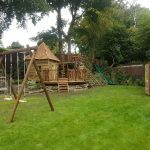 Added to this we had to be mindful of the planning restrictions of the area – being in a conservation area. 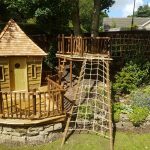 We careful designed and built a Treehouse, platforms, Bridge and Slide – integrated into the garden. We were mindful not to attach to the trees as requested, and carful to not harm tree roots. 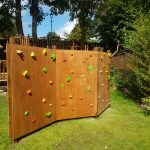 We added a Climbing wall made of Larch and a set of Rustic swings. 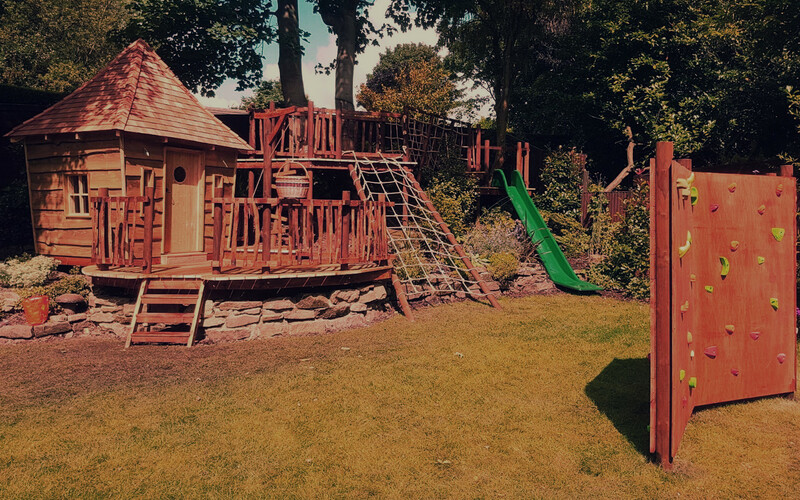 Plenty for the children to play on, gaining a sense of adventure even in the corner of their own safe back garden. 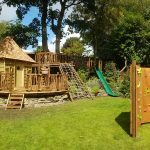 A triumph blended into the banked garden border, making full use of the space available, with plenty of garden left to enjoy an afternoon G&T. 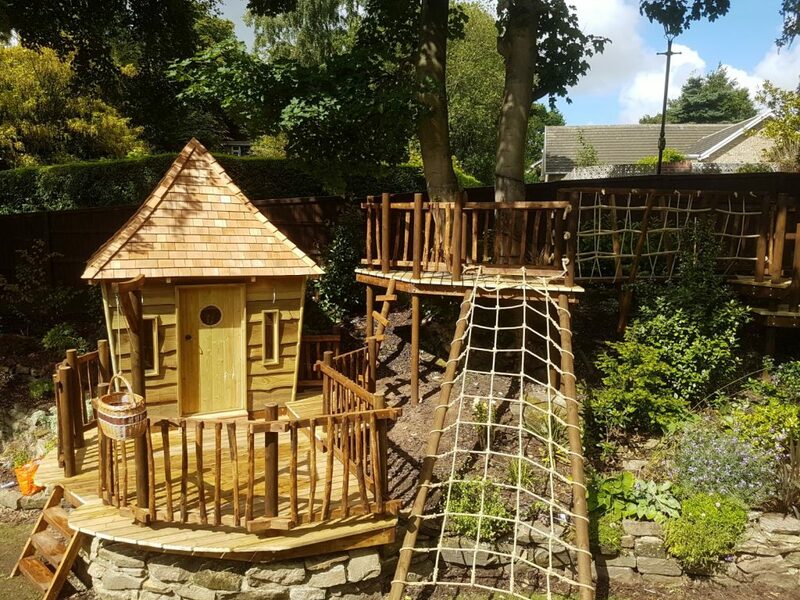 We asked Squirrel design to create a Playhouse and equipment to blend into our landscaped garden. 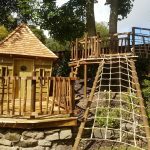 The Challenge was to get through planning in a conservation area. 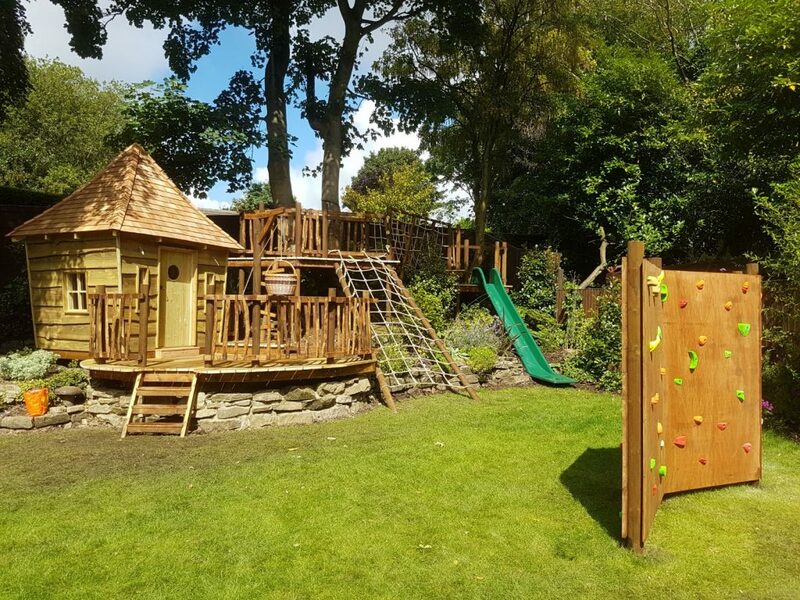 They successfully pleased the strict planners and then built a wonderful area that the kids love. 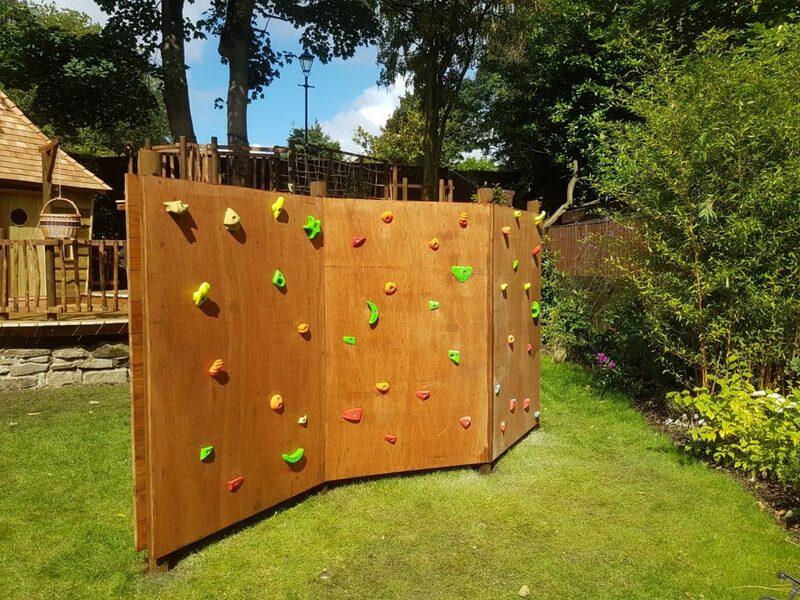 The Squirrel team were professional, diligent and on time. 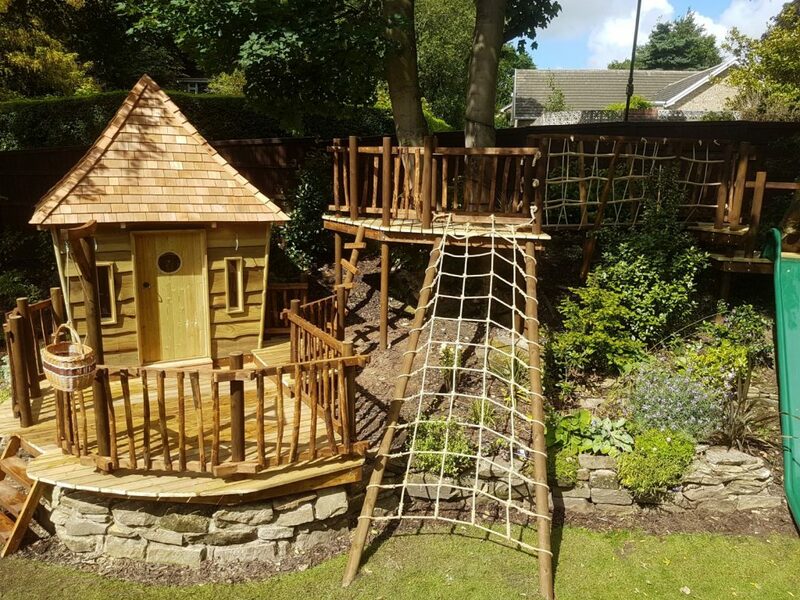 The Play area is superbly built, with great workmanship. I would happily recommend Squirrel to anyone. 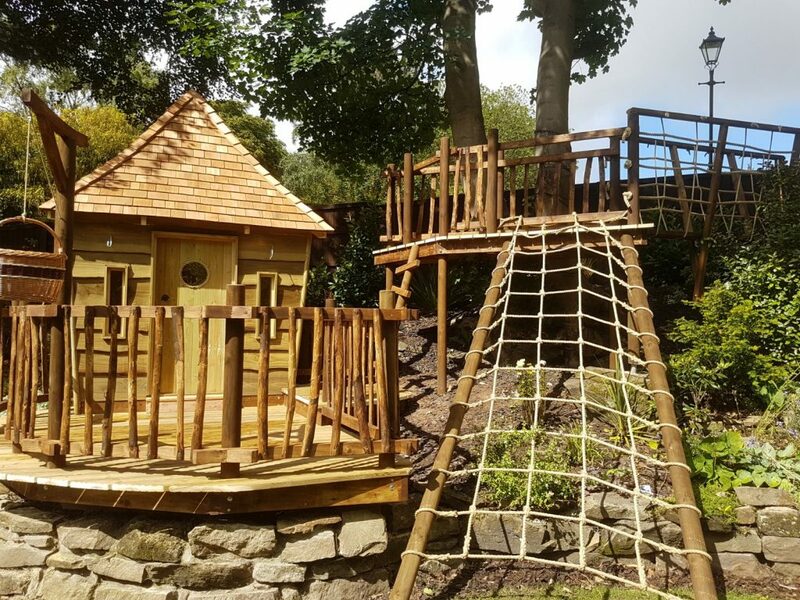 We even got them back to build a Oak framed structure for our outdoor kitchen!